Residential property prices increased 7.21% during the year to Q3 2018, after y-o-y rises of 11.46% in Q2 2018, 12.4% in Q1 2018, 11.68% in Q4 2017, and 11.74% in Q3 2017. During the latest quarter, Irish house prices increased 1.6%. Ireland’s surging house prices are mainly driven by strong demand as well as supply shortages. The Irish economy grew by around 7.2% last year, after GDP growth of 5.1% in 2016, 25.5% in 2014 (obviously a statistical artefact), 8.3% in 2014, and 1.1% in 2013, according to the European Commission. The strong growth was mainly driven by companies nominally relocating in the country, such as Perrigo Co. and Jazz Pharmaceuticals Plc, who are attracted by the country’s very open economy and by its relatively low tax inversion rate of 12.5%. Excluding the contribution of multinationals, the economy is still estimated to have expanded by about 4.9% - still double that of the wider euro area. 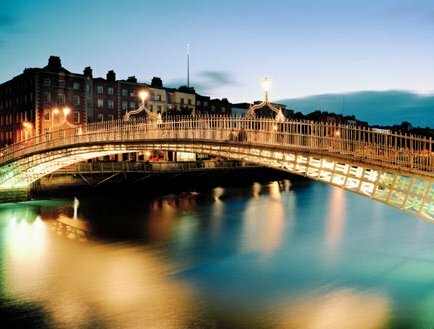 Recent news: Recently, the European Commission has revised upwards its 2018 growth forecast for Ireland to 7.8%, from the initial 5.6% growth projection, mainly buoyed by the activities of multinational companies, coupled with strong labour market and construction investment.